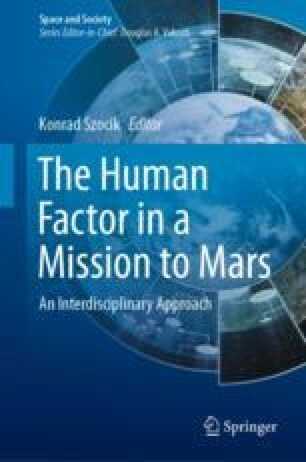 The most skeptical contribution to this volume enumerates and discusses a broad set of challenges connected with the so-called human factor in a mission to Mars. Discussed issues include rationales for a human versus uncrewed mission (the chapter suggests that human missions could be successfully replaced by robotic missions), financial challenges affected mostly by unclear and weak rationales for human mission, challenges of sustainable development, complex hazardous impacts of space environment for human mental, and physiological health. The last of the discussed challenges, the idea of human enhancement applied for the purpose of human deep-space missions, shows how technological issues—mostly long journey or ineffective countermeasures—might affect ethical concerns. While this idea might seem to be too far in the future, the chapter shows that it may be a serious and possibly unexpected long-term consequence of this program. This chapter does not determine whether a human mission to Mars is possible or not, nor whether such a mission makes any sense at all. One side of this chapter assumes that it is hard to find a strong rationale as measured in financial terms. The question of rationale is getting harder when a cost–benefit analysis—including risks for human health and life—is applied. On the other side, these skeptical remarks are designed to show that the idea of making humans a multi-planetary species is, in fact, extrapolation and projection of all problems and challenges known on Earth, which is intensified by putting Mars astronauts in the hazardous space environment. Many thanks to Jacob Haqq-Misra and Koji Tachibana for their useful comments. Braddock, M. (2018). Next steps in space travel and colonization: Terraforming, ectogenesis, nano spacecraft and avatars. Significances of Bioengineering & Bioscience 2(4). https://doi.org/10.31031/sbb.2018.02.000541. NASA. NASA Langley Research Center’s contributions to the Apollo program. https://www.nasa.gov/centers/langley/news/factsheets/Apollo.html. Ohshima, H. (2012). Preventing bone loss in space flight with Prophylactic Use of Bisphosphonate: Health Promotion of the Elderly by Space Medicine Technologies. In International Space Station. Benefits for Humanity. https://www.nasa.gov/mission_pages/station/research/benefits/bone_loss.html. Orosei, R., et al. (2018). Radar evidence of subglacial liquid water on Mars. Science, 25(July). https://doi.org/10.1126/science.aar7268,aar7268.